Disclosure: The recipe provided here was part of a sponsored collaboration with ALDI USA. I was not compensated for this post, but for the link included to the recipe demo below. As always, I only partner with brands that I love and can be found in the Shaw Kitchen. Ever wake up and think- I NEED A REBOOT! Friends, today is that day for me. 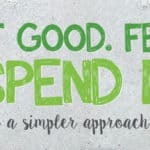 I’ve been needing to reset my patterns and focus on more quality nutrition than quick fix meals. Don’t get me wrong, I love my Hummus Quesadilla, but there’s only so many days in a row I can have that until I need to let the greens back into my life. Enter- this Quinoa Salad with Spinach & Onions! This recipe is not only made in a flash, but it’s also great hot or cold, making leftovers the perfect lunch for work! Bonus, quinoa not only is a complete protein, but it’s also packed with vitamins and minerals too! So, it’s settled, quinoa is AMAZING! 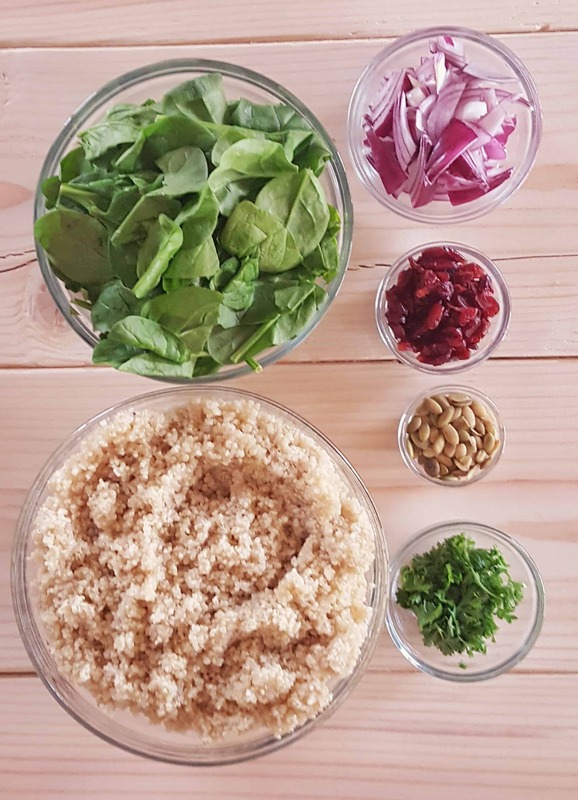 Join the trend and whip up this Quinoa Salad with Spinach & Onions! Pinky promise, you won’t be disappointed! 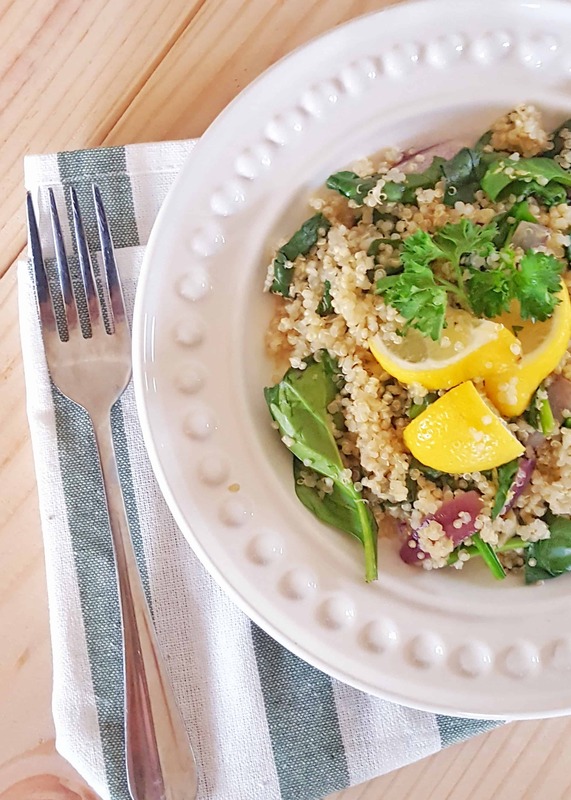 Quinoa Salad with Spinach & Onions is the perfect protein packed meal that tastes delicious hot or cold! Whip this up in under 20 minutes and enjoy it all week long! Heat oil in large skillet over high heat and sauté onions and continue cooking until caramelized. Add in garlic and cook remaining 30 seconds. Stir in spinach and black pepper, toss to combine and cook for 1 minute. Stir onion mixture into quinoa, season salt and lemon juice to taste. Add in the cranberries and pepitas. WIN a $100 Gift Card to ALDI by watching the video below and commenting! Contest runs through 12/2 12 PM PST. Giveaway is not affiliated with Facebook. Hot is always a good choice in the winter! So true- thanks Amanda! Plus excellent protein for your long runs! I have a love affair with quinoa dishes! I love making big batches early in the week and then keeping them in the fridge; they last forever! This one looks great; thanks! Loving the quinoa love here Heather! Enjoy! A simple delicious combo! I love making big batches of quinoa salads and than spicing them up over a couple days. Maybe adding an egg, avocado, and they are great for breakfast, lunch, or dinner! So true- the avocado on my counter I’ve been waiting to ripen so I can dive into it with the quinoa too! Yes, I agree…quinoa is amazing! 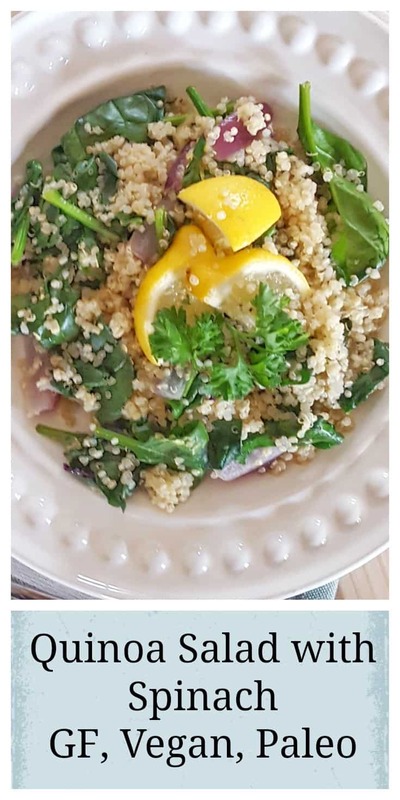 Love how quick and easy this Quinoa Salad with Spinach & Onions is. Makes the perfect prep ahead meal that I can use for lunches during my busy week! Quinioa is one of my favorite side dishes! This looks so yummy! Thanks Kat- the versatility of this grain is amazing! This looks so delicious! Would love this quinoa salad for lunch or as a quick meatless dinner! 🙂 Thanks Taylor- would taste perfect with those cocktails you were whipping up! I’ve been getting back into quinoa again lately and needed some easy ways to enjoy it. This looks perfect. Thanks Alisa! I definitely go in phases with this too! Quinoa is the best and I bet this salad tastes amazing!! Did you get all the ingredients from Aldi? They’re the best! Yes mam! A one stop shop for everything! Quinoa is my favourite grain (/seed… lol) And a good quinoa salad has been my go-to lunch for the last little while. Love all the different flavours here – looks delish!! Thanks Rebecca- such a quick and filling option! I love quinoa too! This dish looks simple and delicious- perfect to pack for lunch! Totally- lunch in no time! SO much goodness here! I have a feeling people are going to go crazy for this when everyone is trying to detox in January!! This will be a great change from all the heavy foods we eat this time of year! Sounds delicious!